The Japanese (of course) company NEC has announced its LaVie G, a Hello Kitty inspired PC covered with precision-cut Swarovski crystals. Maybe you remember the Hokey Spokes and the SpokePOV DIY kit. Now there’s a new bicycle LED spokes gadget out on the market – it’s called Lex. Just like those popular wrist watches that we’ve seen from Kerala and others, you can now get a clock with the same kind of binary time display. Mr BeauJangles, a UK silver jeweler currently living in Dubai (apparently, not everything is made of gold over there), has created a couple of nice looking Atari inspired cufflinks. Ion are known for their USB supported turntables and has now come up with a new version featuring an iPod dock for easy use. 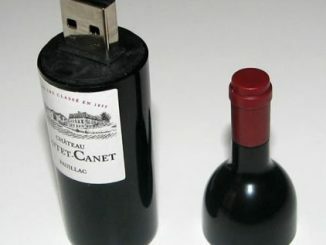 Weird USB drives is nothing unusual, you see them every week, but this has got to be the weirdest looking ones in quite a while. This beautiful clock allows you to use your digital photos as a backdrop to the time and date. 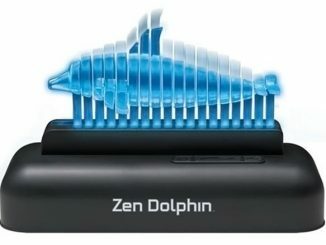 It features a 3.5-inch LCD screen with 320×240 resolution, where you can choose to display the time in a digital or analog way. Freecom’s MusicPal is a wireless MP3 player that also plays internet radio without the use of a computer. On top of that, it’s possible to subscribe to RSS feeds and read them on the display. 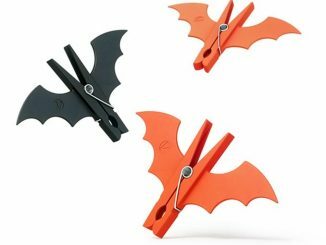 What better way to hang your Halloween costume to dry than using these awesome bat-shaped clothes-pegs from Art.Lebedev Studio? Inexpensive plastic Vespertilium clothes-pegs remind your neighbors that your laundry is Halloween-ready. Designer: Yegor Zhgun. Check out the Vespertilium clothes-peg over at artlebedev.com.